Merely a 12 minute drive away from the GandhinagarAirport, Hotel Sai Palace offers a convenient location and a comfortable stay to both business as well as leisure travelers. 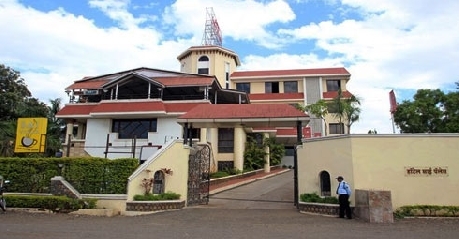 The hotel is just about 12 km from the Nashik Railway Station and Nashik bus station. The hotel offers a multitude of facilities and services to please and comfort its guests such as car rental (surcharge), doctor on call, laundry and dry cleaning facilities, safety deposit lockers, travel assistance and 24 hour front desk. The hotel also provides state-of-the-art conference and business facilities that comprise of three conference halls – namely Crystal Room, The Rendezvous and Regal Room – well equipped with audio-visual equipments, fax facilities and other requirements. 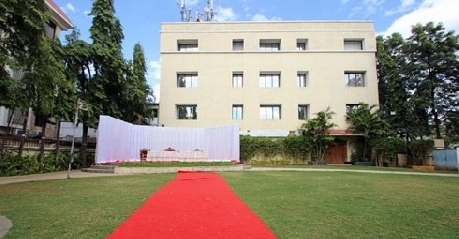 The banqueting facilities include the beautiful Vrindavan Lawns and three open terraces that are perfect for weddings, receptions, parties and social get-togethers. 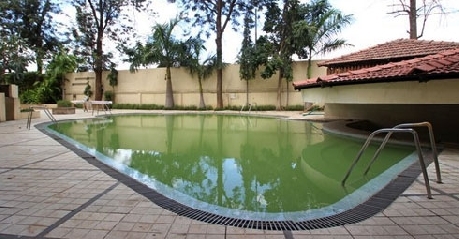 Guests can enjoy soaking in the swimming pool or lay back and relax in the sauna or Jacuzzi. Fitness enthusiasts can take full advantage of the well equipped gymnasium to keep in shape. There is also a children park for the kid’s amusement. 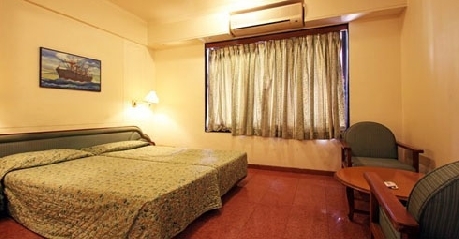 All the rooms are well appointed with modern amenities and furnishings including a double bed, satellite television with multiple channels, STD / ISD direct dial facility on telephone, air conditioning, internet connectivity (surcharge) and private bathrooms with running hot and cold water and bath amenities. 24 hour room service is offered. 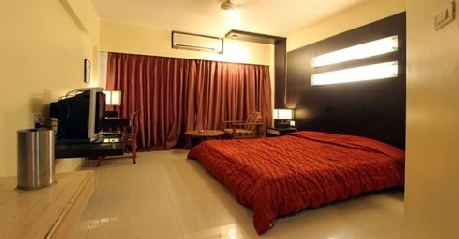 These rooms are comfortable and spacious and are furnished with double beds. The facilities include cable TV with multiple channels, Wi-Fi access (surcharge), air-conditioning, STD / ISD direct dial telephone, bathroom with complimentary toiletries, running hot and cold water supply and 24-hour room service. Well-designed, beautifully furnished and spacious interiors define these rooms. The modern amenities offered include satellite television, queen beds, internet access (surcharge), telephone with direct ISD/STD call facility, air conditioning, sofa unit, mini bar and private bathroom with complimentary toiletries and running hot / cold water. Round the clock hour room service is provided. Aesthetically decorated and furnished, the Presidential Suite offers a luxurious and comfortable stay. The state-of-the-art amenities include a double bed, air conditioning, multiple channeled satellite TV, STD / ISD direct dial on phone, mini bar, sofa unit, internet access (surcharge), refrigerator and round the clock room service. The private baths are well appointed with regular supply of hot and cold water and complimentary bath toiletries. 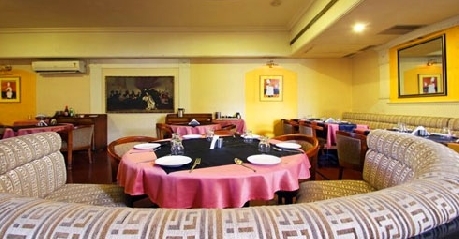 This multi cuisine restaurant is ideal for a family dinner as well as a corporate lunch. The menu serves a wide range of cuisines from Indian, Mughlai, Tandoori to Chinese and Continental fare. The food is scrumptious and the staff is friendly. The in house bar is well stocked with a fine selection of wines and spirits. The bar has a relaxing ambience with lively music playing in the backdrop. The bar is a great place to lay back and unwind after a tiresome day. Sai Vihar is a completely vegetarian restaurant that serves palatable varieties of North Indian, South Indian, Chinese and Continental delicacies. The restaurant offers great spot for family dinners. This is the open air venue option for private dinners or lunches. The hotel can also facilitate parties and private gatherings as per the guests’ requirements.